Classical, Christian education focused on truth, beauty, and goodness. Celebrating the Lordship of Christ in every area of life. Teaching our children to know God, to love Him, to serve Him, and to be like Him. Creating a culture of virtuous childhood. Want to find out more about Classical Education? 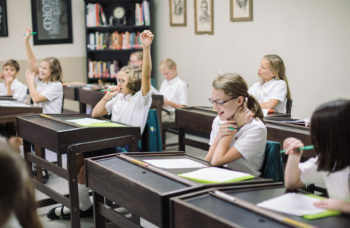 Jonathan Edwards Classical Academy exists to assist Christian families in rearing their children to be lifelong learners who, with wisdom and beauty, shape and influence their world for Christ. The Grammar School is comprised of students from Kindergarten through 6th grade. 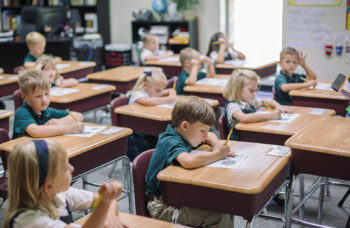 In the Grammar School, students acquire the skills and knowledge necessary to think and speak truthfully across various personal and academic disciplines. The Logic School is comprised of 7th and 8th grade students. In the Logic School, students begin applying the knowledge and skills acquired in the grammar stage to reasonably analyze information, critique ideas, and formulate sound understanding. The Rhetoric School is comprised of 9th through 12th grade students. 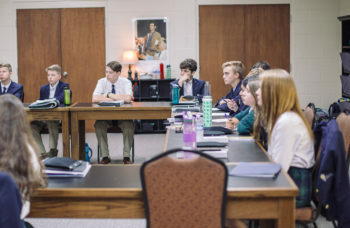 In the Rhetoric School, students move toward a lifestyle of thinking well and saying beautifully, growing in wisdom and cultivating Christ-like discernment. "The world is rated R, and no one is checking IDs."